In the above photograph the dark color sample consist of a homogeneous mixture that no other technology was able to break cost effectively. The Canal patented technology in a cost effective manner, separated the homogeneous mixture along with killing all bacteria and viruses. 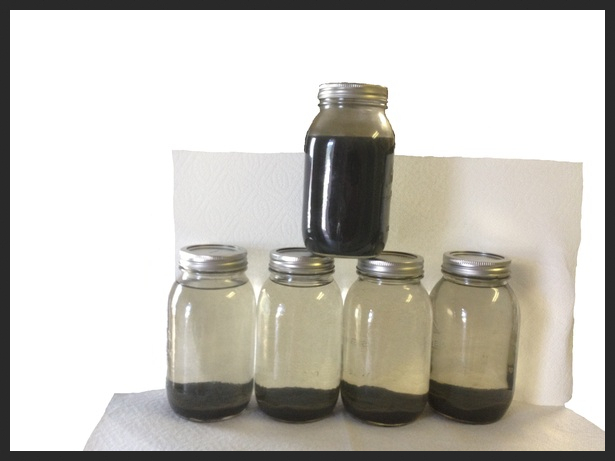 The bottom four samples in the photograph are the end result after treatment of the above dark homogeneous sample. As you can see the four samples are separated into an upper clean water layer and a lower contaminate layer that is much easier and cheeper to dispose of than the entire homogenous mixture. The clean water end product is able to be utilized by industry in fracking endeavors or other uses. Canal has been in the water cleaning,separation and water filtration business since 1996. Canal's proprietary technology has been used worldwide by many industries and governmental agencies to include the DOD, and DOE of the United States. In short, Canal Technology is able to break the bonds between the salts and water so that much of the salt can be reduced out of the sample water without the use of reverse osmosis, nana-tubule technology, or heat. This makes Canal's Clean Water Technology much more cost effective for the customer, which adds to the customers revenues simply by the customer utilizing Canal's Clean Water Technology. Hydraulic Fracturing Fluid flow back Disposal Cost in many instances is from $10.00 to $18.00 dollars per barrel depending on geographic location producing a signigicant burden to the producer to bring a well on line. The saving to the customer by simply using the Canal Clean Water Technology can be over 50% to the customer after Canal treatment fee is deducted on a material disposal basis only.The disposal of the produced material is reduced from 100%, to total material to the removed solids content of the treated water, and the treated clean salt water is able to be disposed of at a greatly reduced cost. 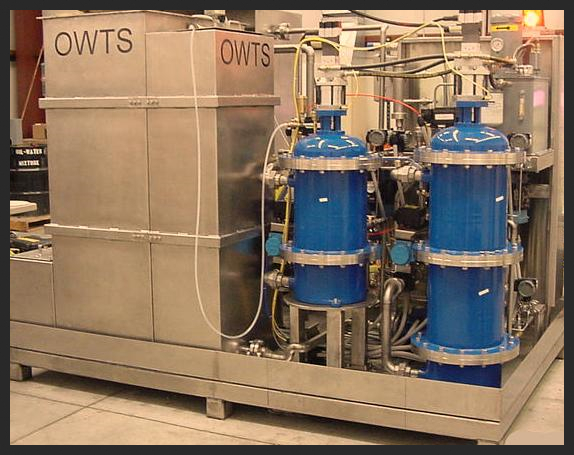 This provides for a greatly reduced cost for overall disposal to the customer. If however, the treated produced water streams are utilized for hydraulic fracturing activities the customer in many instances will see additional savings by utilizing much of their own produced water for well stimulation as well as a level of autonomy by utilizing water that does not come from a potable water aquifer, as many states and municipalities are placed bans or moratoriums on utilizing potable water from these zones. ​​The F​​​rac Flo Back water processing for water Reuse: This adds significant revenues to the customer. By utilizing, the customer produce water stream for additional hydraulic fracturing activties and greatly reduced disposal cost. I​​ndustrial Site Water Treatment: Refineries, Waste remediation Sites, Oil and Gas Sites, ect. ​​Water Injection Well Water Treatment: This greatly increases the productivity and life of the injection well. ​​Canal Clean Water Technologies, Bringing New Ideas To Life!